Mixed feelings all over the table… I remember the days when I had my Nokia 3210. I got it stolen, but it was fun to have one of those babies. Then the era of WAP has arrived and I experienced more colorful Nokia devices, such as the 6610 or the 7210 and the list goes on. But time has changed, competition forced Nokia to be almost out of market and now they are trying to be back with different models. Nokia 8 can be considered as finishing the manufacturer’s early attempts to provide a flagship device. It may be called a flagship device, but compared to top level devices such as the Apple iPhone 8 or even the Samsung Galaxy S8, it is not that of a premium device, maybe a premiumish? We don't get to see something unique, well maybe except the feature where while taking selfies you can use both front and rear camera at the same time. Because you are behind the rear camera? I don’t know how useful this feature could be, but pretty sure there will be fans out there. The smartphone features a 5.3 inch screen with a resolution of 2.560 x 1.440 pixels, 4 GB of RAM, and a 3.090 mAh battery. Sorry but nothing interesting. It comes with IP54 certification, i.e. it is only splash resistant so to speak. Rumors are out about the Nokia 9 and Nokia 10 models coming up already. This makes me think that the Nokia 8 was a preparation for a bigger / better flagship. Because the way I see it, the Nokia 8 is almost an unfinished job. Cameras for example: Marketing campaigns claim that Nokia partnered with Zeiss, a famous lens manufacturer. The result? Something you can find in every flagship smartphone. Therefore I am quite in the middle about this device. Should I give it a go? Or should I just simple walk away? In the early days when the device was first released, the price tag was around 700 $, now it has gone down to about 550 $. Is it an option with the new price tag? I'd say maybe, because in my opinion the Nokia 8, compared to real competition, is not in the A game, maybe in the B league of flagship phones, where the competition is very fierce. In this league, what matters is, what you provide and how cheap you can provide it and to be honest, Nokia is a bit behind in this. Maybe it is better to wait for the Nokia 9 and 10 and see if Nokia has learnt from the Nokia 8 experience. With the iPhone 8 and Samsung Galaxy Note 8 on the horizon, Nokia tries to make a comeback in the flagship segment after a long hiatus with the Nokia 8. So what has Nokia to offer in comparison to its competitors? Running down the spec list the Nokia 8 is powered by a Qualcomm Snapdragon 835 with 4 GB of RAM and 64 GB of internal storage, which in all honesty isn’t that impressive since most of the other flagships have about similar specs. But don’t let that be a downer. One notable feature of the Nokia when compared to its other siblings is its QHD IPS display, which is unusually small for its resolution but remains quite sharp and vibrant. Nokia states that the display is able to achieve up to 700 nits, which is quite bright. However, it cannot be compared to the AMOLED display of the Galaxy 8, which is said to achieve a jaw dropping 1000 nits of brightness. While brightness is important it should be noted that it can hurt the eyes if not set accordingly and used in a prolonged session. Nokia has decided to include a barebones stock Android 7.1.1 Nougat experience, which is a bonus since most manufacturers seem to like to cram as many features into their flagship. As they says simple is always best so Nokia gets credit where it is due. 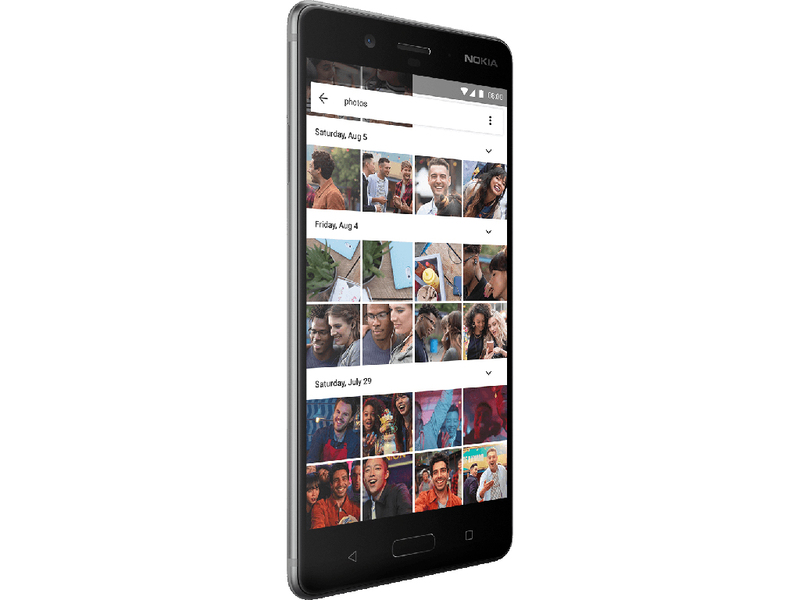 While the Nokia 8 is marketed as a flagship smartphone, users shouldn’t be hard pressed to find that by default the Nokia 8 only has 64 GB of storage. While Apple may have offerings of 128 or even 256 GB, users should find that the Nokia 8 supports microSD cards for expanding the storage capacity. The included camera consists of a dual camera setup, which is beginning to be the common requirement of most flagships. It features a standard 13 MP RGB sensor and another 13 MP monochrome sensor, which allows for a much crisper image. One unique feature of the Nokia 8 is called the “bothie” functionality, whereby both the front and rear camera can be used simultaneously. While Samsung and other manufacturers may have had those features a few years back, it does not come close since the Nokia 8 is able to record in 4K while doing so, which can be taxing on the device. Another feature highlight which works alongside the camera is the Nokia OZO spatial feature. It allows the user to focus the sound before recording a video. This can be ideal when used in situations like a concert or even an interview. As for battery life, the Nokia 8 is somewhat above average with a battery capacity of 3090 mAh. The device should last a full day under normla use. Naturally, should users find the capacity to be insufficient, the Nokia 8 also supports Qualcomm’s QuickCharge 3.0. Overall verdict of the Nokia 8 still remains to be seen. However, if Nokia wishes to re-capture a market once lost, they would have to be really innovative, since the Android market is overcrowded and competition is tough with more options coming out of China. Above all, it proves that HMD Global is on the right track as the Nokia 8 is a commendable effort on its part for the brand’s return to the flagship market. It leaves us with the hope that the company will be able to deliver better flagships that hold their own against rivals in the coming years. Overall though I was impressed with the Nokia 8. It costs around £500 SIM free in the UK. You have a chance to get a stunning looking device that packs a lot of punch. However, you may find it hard to compete with devices such as OnePlus with their 5T considering the better camera, dual SIM, 8GB RAM and 128GB storage for the same price. Living with the Nokia 8 day in, day out is generally a good experience. Overall this is a good first effort for a flagship Android device. Let's not forget that despite Nokia's long history in mobile, that's exactly what it is - the first ever Nokia-branded top of the line model running Google's OS. The Nokia 8 has a good build, is easy to handle, and it feels quite premium with its metal unibody fit and finish. If you can bag a bargain and get it between $500-600, then it’s a different story with competition more from OPPO, Samsung Galaxy A5/7, Moto G, Alcatel 4/5 and LG G6. Here it will likely outperform all. With top-end processing components, a 5.3-inch QHD IPS display, and an IP54-rated aluminum uni-body, the Nokia 8 is a high-end device inside and out, but the performance of its camera module lags behind our (admittedly high) expectations. The Nokia is capable of producing decent still images, but in many situations, it cannot match the image quality of the cameras in current high-end phones from most competitors. Nokia 8 is an easy to carry smartphone along with the decent features and specifications available in the high price value. The market has already so many smartphones with these features but in less price value. So, if you love Nokia so much then you must go for it otherwise except Bothie feature and WQHD display it is offering nothing new. Having had a hands-on already, I didn't have high expectations from the Nokia 8, but it was a nice surprise. The proposition was interesting at £499, but looks quite compelling at £399. I'd like to see more originality from the company, but as a first flagship it's a promising start. Nokia 8 Review: Return To Form? Despite the Nokia 8’s issues with its camera, its still a perfectly decent flagship for people not keen on dropping more than 30K for a new flagship. Its small size makes it extremely handy and easy to use one-handed, and it’s more than a match for most of the newer flagships today. Overall, the Nokia 8 is a well-rounded package with top-notch performance, an understated elegance, and a darn good camera. All that at the price of a mid-range flagship where it competes with the likes of Xiaomi Mi MIX 2, OnePlus 5, and Honor 8 Pro – each one with more than one standout features. Yet, it is the only one in the segment that offers pure and up-to-date Android experience. Although the Nokia 8 offers some decent specs for the price, it's just not a device that stands out in a crowded market. Build quality should be better and the fingerprint scanner can be a real pain. The only question that remains is whether, in 2017, there’s much appetite in the market for another high-end handset. It’s a long time since the Nokia brand alone was enough to sell phones. Even so, the Nokia 8 is, on its own merits, a worthy rival to the established giants of the market. It might not fully re-establish the prestige of the Nokia of old, but it’s a big, confident stride in the right direction. Overall, the Nokia 8 is quite a decent flagship. For its price of RM2299 featuring a sleek full metal design running on pure stock Android, dual rear cameras that capture great photos, excellent battery performance and maybe that #Bothie feature you may like, the Nokia 8 is pretty much worth it. Nokia 8 comes with a price tag of Rs 35,999 and it offers all the high-end features and specifications that a flagship should have. It has the latest processor, dual camera setup, fast charging and an impressive metal body design. It also performs well and is a value-f or- money smartphone. If you are willing to spend above Rs 35,000 then you can definitely consider buying a Nokia 8. Those looking for alternatives can go for the OnePlus 5 which is also available at a similar price tag. A great battery, a fantastic display and a speedy experience. There is really very little to fault the Nokia 8 on, so little in fact that we’re giving HMD Global full marks for this handset. The Nokia 8 is well made, although it lacks any design features that make it stand out from the crowd (unless you count the reflective copper finish on my review unit). It offers excellent battery life and a very good 5.3-inch screen. It's nice to see pure Android 7 on board, which should bode well for a fast upgrade to Android 8 (Oreo). HMD position the Nokia 8 as a premium Android phone. Yet it is well behind the best from rivals like Samsung, Huawei and Sony. It’s not a patch on this year’s or last year’s iPhones either. Let’s say this again… Nokia is back! HMD Global has done a wonderful job with the Nokia 8 and it is without a doubt one of the best devices in its price band. There’s no gimmicks here, the design is understated and elegant. The software is virtually untouched and the camera is pretty darn good. The Nokia 8 chooses a safe path and offers a reliable no-nonsense experience. To put it simply. The Nokia 8 is not cutting-edge. Nor is it glamorous. But it is elegant, refined and solid. The smartphone looks classy, is very durable, is extremely fast, slick and fluid and has cameras that produce great images. All for a mouth-watering price tag of Rs 36,999. You simply cannot go wrong. While the Nokia 8 is definitely not the worst smartphone on the market right now, it is also nowhere near the best. It feels and acts like a first time phone and that just isn’t good enough. While I enjoyed taking a break from my iPhone and playing with the Nokia 8, I worry that that was more nostalgia based because the child in me WANTED it to be great. But truth? I cannot wait to switch on my iPhone again and put the Nokia back in the nostalgic part of my memories, where it belongs. Oh and I’m also about to start a campaign to #freethebothie because I need that dual live streaming back in my life. I’ve lived in a world with it and now I just don’t want to go back! If you were one of the people who thought that when Nokia launches its first flagship Android smartphone, they would remind the world why they were the best all those years ago. That they would spank the likes of Samsung and Apple, then I’d hate to be the one to break it to you but the Nokia 8 is not that phone. There's a lot to like about the Nokia 8. Its design is sleek and refined, with a number of noteworthy specifications to ensure it is never underpowered or found wanting. Add to that a sub-R10k price tag, which is hard to find for a flagship phone these days, and the Nokia 8 is a great all-round device for the more cost savvy consumer out there. The Nokia 8 isn’t the best phone on the market right now, but it offers a lot of the features you expect from a great device in a well designed package with a retro name. The success of the Nokia 8 will come down to price, which currently sits at €599. If that translates to around £549, it’s immediately taking on the OnePlus 5, and I’m not entirely convinced that’s a battle the Nokia 8 can win. It’s easy to imagine an alternate reality where another, lesser, version of this device coasts along on the novelty of the Nokia brand. However, that’s not the case with the Nokia 8 that HMD have brought to market. There’s so much more to like about the Nokia 8 than just the mere nostalgia factor behind it. I can’t shake the feeling that the Nokia 8 is a disappointment. It just doesn’t deliver on the stuff it claims it can do and lacks the ambition to truly establish itself as a flagship contender. In other words, it is the Arsenal of smartphones. The Nokia 8 is a new chapter for the company’s re-entry into the premium smartphone segment. The device looks elegant and packs the fastest hardware available for this year. Although, the large bezels are going to be a problem for those who were expecting a great alternative for the Galaxy S8. That said, it’s good to see that Nokia’s first Android flagship is the world’s first to feature a dual-lens ZEISS camera. The new “Bothie” function is something we will have to wait and see if users are willing to use in the long run. It's not by a stroke of luck that Nokia 8 is where it is today. It's hard work, respect of tradition and putting years of knowledge and experience to good use. It's long-standing partnerships too - like that with Zeiss. 70% Nokia 8 Review: Is Nokia’s first Android flagship a true contender? Overall, the Nokia 8 is a solid flagship device. Some smart hardware and a bit of vanilla Android marry together for a pleasing enough everyday user experience. And while the dual-lens camera isn’t the best out there, it’s perfectly good for capturing treasured memories (although a software update or two wouldn’t go amiss). The Nokia 8 retails for €599, and while no UK pricing has yet been announced, current conversion rates put that at a minimum of £545. In practise, it's much more likely to be closer to £600, which puts it firmly in the same price bracket as the Pixel and around £150 more expensive than the OnePlus 5 - which matches its capabilities virtually identically. We liked the Nokia 8 a lot, it's an attractive flagship with a number of interesting features, made even more tempting by a competitive price (€599 / approx. £550). Therefore, Nokia 8 has good performance, especially in heat dissipation. It is said that Nokia 9 will start to sell officially in September, its official price is at 599 euros, will you consider buying? 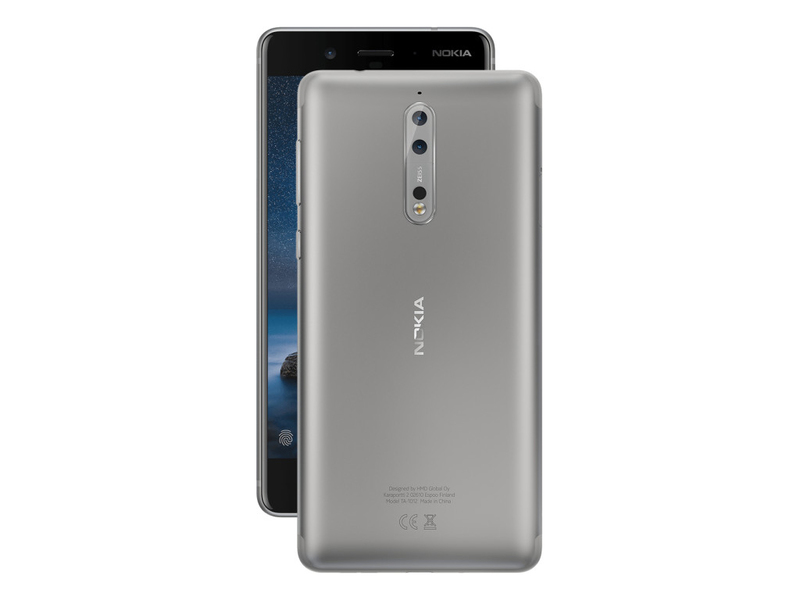 The Nokia 8 goes on sale in early September with networks announced nearer to the time and an initial SIM-free price point of €599 (£545) – noticeably lower than most top-of-the-range from rival manufacturers. Upon first impressions, the Nokia 8 is a flagship that comes with everything you’d expect from a top of the range phone right now. There isn’t a standout feature to make you want to snap up the Nokia 8 though, and with such strong flagship competition right now it may be difficult to recommend this over alternatives. Nokia 8 preview: A flagship worth waiting for? For us, the Nokia 8 is the device we've been waiting for since the company announced its plans to get back into the game. The competition is fierce and the Nokia 8 doesn't offer a huge amount that's unique. The build quality and specification can be found elsewhere and there's almost nothing on the software front to make it unique - unlike phones from the dominant Samsung. Sure, it might have a similar look, but the 8 feels a world apart from Nokia’s three other smartphones. The leap in build quality, hardware and general design is huge, and the dual camera tech shows plenty of promise. HMD is targeting millennial content creators with the Nokia 8, an influential group to be sure. But are they old enough to remember Nokia in its glory days? We sure do and we're glad to have the brand back (less glad to have Nokia pricing back, though). For a killer feature, I’m not sure that the bothie mode is really anything that couldn’t be accomplished on any other device with the right app (*cough* gimmick *cough*), but having the feature so readily available means that more users will be likely to try it and it is a good way to showcase what the phone is really all about. Positive: Nice display; long battery life; decent cameras. 60% Reicht das für das große Comeback? Nokia 8 gelingt die Rückkehr an die Spitze? Ist Nokia nun wirklich zurück? Positive: Excellent display; top cameras; powerful processor; nice performance; good price. Positive: Good price; premium design; decent hardware; nice performance; good cameras. Positive: Nice design; solid workmanship; excellent display; good cameras. Positive: Good price; high performance; decent cameras; nice display. Negative: Mediocre design. Positive: Good price; slim size; high autonomy. Positive: Good price; nice display; long battery life; decent cameras; metal case. Positive: Good price; high performance; high mobility; long battery life; solid workmanship. Negative: Mediocre design; average speakers. Positive: Powerful hardware; good price; great built quality. Positive: Nice performance; good display; long battery life; decent cameras. Negative: Unsupported waterproof. Positive: High performance; good cameras; bright display. Negative: Mediocre design; large front frames. Positive: Low price; nice design; top performance; good cameras. Negative: Unsuport waterproof. Positive: Good price; stylish design; decent cameras. Positive: Great built quality; nice display. Negative: Poor cameras; no notification led. Positive: Great built quality; long battery life; good display. Negative: Mediocre speakers. 80% Test Nokia 8 : qu'importe le flacon, pourvu qu'on ait l'ivresse ? Positive: Nice performance; decent cameras; high autonomy. Positive: Good price; powerful hardware; excellent display; very good cameras; long battery life; fast fingerprint sensor. Positive: Good price; beautiful design; decent hardware; high performance. Positive: Excellent display; good price; nice cameras. 87% Recenzja Nokii 8 – flagowiec z krwi i kości czy jednak czegoś mu brakuje? 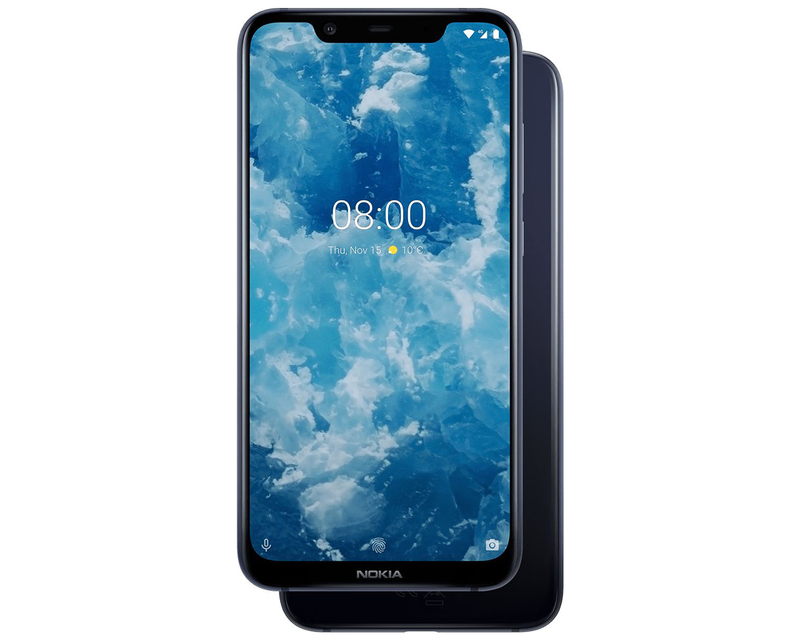 78% Nokia 8 - czy warto kupić flagowca z podwójnym aparatem? Positive: High performance; fast system; decent autonomy; nice main camera. Negative: Relatively high price. 78% Обзор Nokia 8: насколько хорош первый флагман Нокиа на Android? Positive: Beautiful design; decent cameras; nice display. Positive: Nice display; beautiful design; solid workmanship; support waterproof; decent hardware. Negative: Mediocre speakers. Positive: Nice design; solid workmanship; pleasant ergonomy; decent display; good cameras. Negative: Sim and microSD are on the same slot; unsupported waterproof. Positive: High performance; excellent display. Negative: Mediocre design; average performance; poor cameras. Positive: Beautiful design; nice display; high performance; long battery life. Negative: Poor cameras. Positive: Good price; decent hardware; nice display; high performance; long battery life. Negative: Poor cameras. Đánh giá nhanh Nokia 8: Cái "chất" Nokia vẫn còn đấy! Positive: Top display; decent hardware; excellent cameras. Negative: Mediocre design. Positive: Decent display; nice dual cameras; slim size; light weight; good hardware; metal case. Negative: Mediocre design. Positive: Beautiful design; nice cameras; excellent display. Positive: Powerful hardware; high performance; excellent display; top dual cameras; good price. Negative: Mediocre design. Positive: Solid workmanship; nice display; quick charging; decent hardware; nice dual cameras. Positive: Good dual cameras; powerful hardware; solid workmanship; metal case; excellent speakers; good display; decent cameras. Positive: Good dual cameras; decent hardware; support waterproof; metal case; slim size. Negative: Relatively high price. Positive: Nice design; great display; high performance; long battery life. Negative: Poor cameras. Positive: Nice display; good price; long battery life. After many attempts of a revival, the Nokia brand is doing well once again. The Nokia 8 is its flagship Android model. With a successful start in the Android market, the company has expanded its product line this year. Its latest phone is the Nokia 8 Sirocco. Bringing back nostalgic elements from the Nokia 8800 Sirocco, this new model is meant to represent the same premium feel. The 2018 Nokia 8 model comes with a 5.5-inch P-OLED screen with a resolution of 1440 x 2560 pixels, bringing its pixel density to 534 ppi. However, unlike most 2018 flagships, the Nokia 8 Sirocco retains the 16:9 curved screen. This is not necessarily a bad thing, but for those who are looking for a large bezel-less screen in a small body, this might not be your first choice. The bezels are pretty small and look good enough, though. The curved screen also hides the side bezels well. The front and back is covered with Gorilla Glass 5 and there is a stainless steel frame for the rest of the body. Without a doubt, the build quality is as good as back in Nokia’s glorious days. In many ways, it looks like the Samsung Note 7. It is only available in black, which means there are no color dilemmas. The Nokia 8 Sirocco measures 140.9 x 73 mm and is just 7.5 mm thick. The Nokia 8 Sirocco comes with the Snapdragon 835 processor, which is a surprise, mainly because it does not include the latest Snapdragon 845. It is paired with 6 GB of RAM and 128 GB of internal memory. The memory can be expanded by using a microSD card (up to 400 GB). The Nokia 8 Sirocco comes with stock Android 8.0. At the back is a dual camera setup with two 12-MP sensors (f/1.8, 1.4um and f/2.6, 1.0um). At the front is a 5-MP shooter capable of capturing videos in full HD. Following the steps of Apple and Google, Nokia has left out the 3.5mm audio jack. However, it does have a USB-3.1 Type-C port for data transfer and charging. The Sirocco is also IP67 certified, which means that its casing is quite durable. The device is not without its problems, though. It has been reported that its curved screen has very bad palm rejection and that the camera is not all that good for a 2018 flagship. The phone has a 3260-mAh battery and supports Quick Charge 4.0. Nevertheless, with its premium price and older processor, the Nokia 8 Sirocco might not be the first choice for most buyers. A smartphone for fans of design? The Nokia 8 Sirocco has an unusual name and unusual looks. Can the high-end phone please the crowd or is mainly interesting for fans of design? Let us find out in our review. 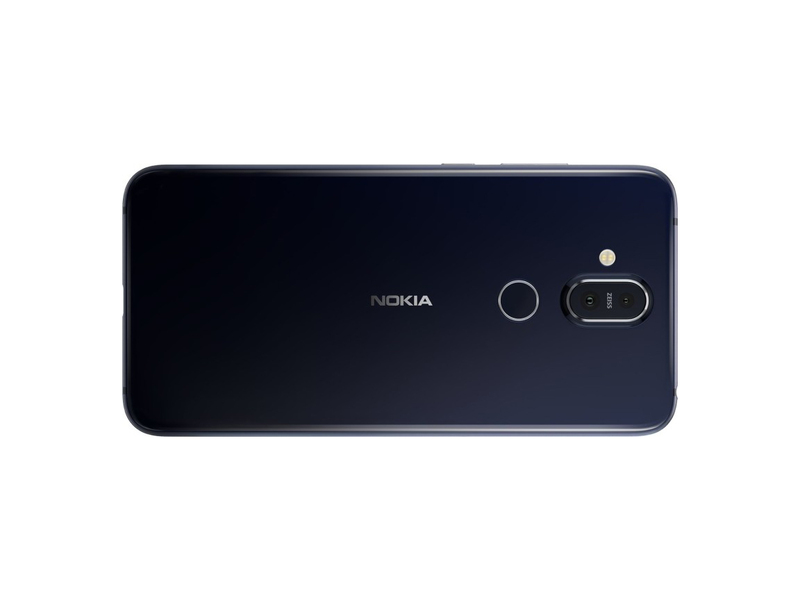 The Nokia 8 Sirocco improves upon the manufacturer’s smartphone camera hardware, packing in a dual camera with tele-lens for optical zoom shots and a good PDAF autofocus system. Overall image quality is a step up from the predecessor Nokia 8, offering slightly more consistent results for exposure and color. Its performance and image quality is competent, if not exceptional, with the best photos captured in bright light, producing images with good exposure, color, and texture. Results in lower light are acceptable, but it’s not an ideal low-light shooter, with losses of texture and color saturation evident, especially in very low light. Overall, for a mid-range device, the Nokia 8 Sirocco does an OK job with both photos and video, but devices with better results are available at this price point. The Nokia 8 Sirocco is a really interesting device that’s completely different to its other phones. With similar design, it’s a direct rival to the Galaxy S9 with it's curved glass design. Still, if it falls down in price, the Sirocco will be a great option for those Android purists who like their interface fast and clean or their displays in a more traditional aspect ratio. Until then, the price tag may chase away many potential buyers, irregardless of the nostalgia whiff that Nokia's Sirocco models may send down their spines. The Nokia 8 Sirocco is a conundrum. On the good side, it is strangely compelling. On the other it has 5.5-inch 16:9 POLED display and last year’s Qualcomm 835 SoC. It is a lovely phone from an iconic brand. It is desirable for that alone. Support Nokia especially if you are a Nokia fan – you won’t be disappointed. The Nokia 8 Sirocco is one of most well-crafted Android phones we have come across, but compromises under the hood and an underwhelming camera works against it, nevermind the steep asking price. The Nokia 8 Sirocco is a premium flagship smartphone that looks the part. Despite HMD Global’s audacious addition of a dated processor, traditional display ratio, single SIM capability, and removal of the headphone jack, it costs just as much as a phone that includes all of these omissions. Yet, quizzically, everything is still likable about this phone. The Nokia 8 Sirocco almost has what it takes to be a great phone but, unless the stars really align for you, it's probably going to have to settle for just being a pretty good one. At Rs 49,999, a lot of users might think the phone is pricey. I too think this would be a killer device around the price point of the OnePlus 5T. Anyway, given the design and the camera abilities, it will be that hard to impress some people to invest in the Nokia 8 Sirocco as their phone for the next few years. HMD Global has priced the Nokia 8 Sirocco at Rs 54,999 in the Indian market. This puts the device in almost the same territory as the spectacular Google Pixel 2, and Galaxy S9. The upcoming flagship by OnePlus, the OnePlus 6 is likely to be cheaper than the Sirocco. Despite the capable camera, Android One support, interesting new design and great battery life, I can’t really recommend Nokia 8 Sirocco. The biggest sticking point for Nokia 8 Sirocco will be its price. At Rs 49,999, this is a premium phone that checks most of the boxes. It’s stylish and sleek – even if slightly unconventional – and boasts of a lot of impressive features. HMD Global has made a product that will excite a lot of users and is certainly one of the better-looking devices around. The display is appealing and the battery performance is really impressive. The Nokia 8 Sirocco is currently HMD Global's flagship offering but that might not be for long. You see, this phone is a bit of an experiment, according to the company, which means we still haven't seen HMD Global's true flagship for 2018. This would most likely be called the Nokia 9, which according to the most recent leak, should have a pretty extravagant camera setup in order to take on the likes of Huawei P20 Pro. After taking over Nokia, HMD’s efforts are obvious. From Nokia 6 to Nokia 6 2nd Generation, 3310 to 3310 4G and Nokia 7 to Nokia 7 plus… in just over a year, HMD has released more than ten new Smartphones, even some models have been completed iteratively. Among these products, there has also been explosion models, which isn’t easy for an old brand that has returned again. The Nokia 8 Sirocco is a significant step forward for HMD Global. The Android One integration is great news for prospective buyers, and the design and screen are great to look at. The Nokia 8 Sirocco will be part of Google’s Android One initiative, along with all of HMD’s latest Android phones like the Nokia 7 Plus and the new Nokia 6. This means they’ll run on pure Android and receive monthly security software updates from Google, in addition to sticking to Google’s Android design and UI. At €749, the Nokia 8 Sirocco is one of the most expensive Android One devices on the market. With the high-end specs, cutting edge design, and sparkling clean version of Android, this is a phone we’ve all decided we are very, very interested in. By the time HMD Global launches the Nokia 8 Sirocco (May in India), there might be quite a lot of 2018 flagships powered by newer hardware, boasting of newer capabilities when it comes to entertainment, AI, security, and more. Still, it’s quite likely that people will be attracted to this phone as a statement piece. It looks great, feels good in the hand, and is still pretty high-end. It’s a worthy improvement over the Nokia 8, but of course we’ll reserve final judgment till we can review this phone in depth for ourselves, so stay tuned to Gadgets 360. HMD’s Nokia clearly remembers the brands heritage, but it also understands today’s realities, so when the company decided to design a new dream phone, it had to wed modern technologies with fine materials and style, not squeeze something outdated into a beautiful chassis covered with gold or, say, titanium. With an attractive, premium design, competitive internals, and a powerful dual-camera system, Nokia has just gatecrashed the premium tier of the smartphone market. The Nokia 8 Sirocco isn't perfect, but from our time with the device so far, we're surprised at how little criticism we can throw at it. 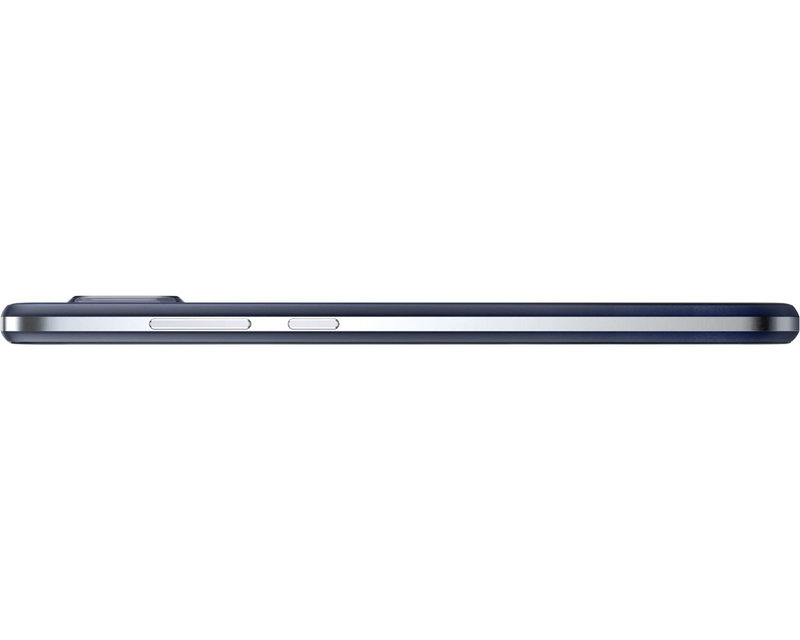 For a brand as young as the new Nokia, the Sirocco is a seriously confident move. Releasing a €749 phone when the majority of your other devices sit below €400 is an unexpected tactic. The Nokia 8 Sirocco is a really interesting device from the firm that’s completely different to its other phones. With similar design, it’s a direct rival to the Galaxy S9 although with some specs that aren’t so impressive despite a very similar price. The Nokia 8 Sirocco will be available in April 2018, priced at €749. We don't know exactly where it will be available, but we'll update as soon as we know. At €749, it's also looking seriously expensive. It will need to take excellent photos, and manage some impressive battery longevity for it to make a good impression when it comes to a full review. The Nokia 8 Sirocca undoubtedly looks like an elegant and impressive follow-up to last year's Nokia 8. We have some slight concerns about the fact that it's using a last-gen processor, but this should also result in a slightly better battery life than if Nokia had opted for a more recent chip. Positive: Premium design; metal case; decent hardware; high performance. Nokia 8 Sirocco, toma de contacto: un Android One que vuela bajo una pantalla curva que en vez de "y yo más" es "y yo menos"
Positive: Premium design; solid workmanship; nice display; good hardware. Negative: Relatively high price. 77% Recensione NOKIA 8 Sirocco: display curvo e qualità ma costa tanto! Positive: Impressive design; great built quality; nice display. Negative: Poor cameras. Positive: Solid workmanship; powerful hardware; high performance; nice display; decent cameras; good price. Positive: Premium design; metal case; wireless charging; good price. Positive: Nice display; beautiful design. Negative: Short battery life; overheats while using. Positive: Beautiful design; compact size; good price. Positive: Attractive design; solid workmanship; decent cameras. Positive: Premium design; metal case; wireless charging. Positive: Decent hardware; nice performance. Negative: Relatively high price. 82% Nokia 8 Sirocco - co potrafi fiński smartfon? Positive: Beautiful design; support waterproof; nice display; fast fingerprint sensor; nice main camera. Negative: Short battery life; no microSD and dual SIM slot; high price. Positive: Nice design; good cameras; wireless charging; long battery life. Negative: High price; no LED notification; no microSD card slot. Positive: Impressive design; frameless; nice display; excellent cameras; powerful hardware. Positive: Powerful hardware; support waterproof IP67 and dust avoiding; wireless and quick charging; high autonomy; nice design. Negative: No LED notification; no SD card slot; no headphone jack; poor cameras; high price. HMD Global is positioning the Nokia 8.1 as an upper midrange device. However, the company has priced the 8.1 at €400 (~$456), which puts it in the sights of last year's flagships. Read on to see what the Nokia 8.1 offers in the face of strong opposition. Another modern HMD handset that offers the usual winning combination of slick design, solid specs and delightfully clean software. 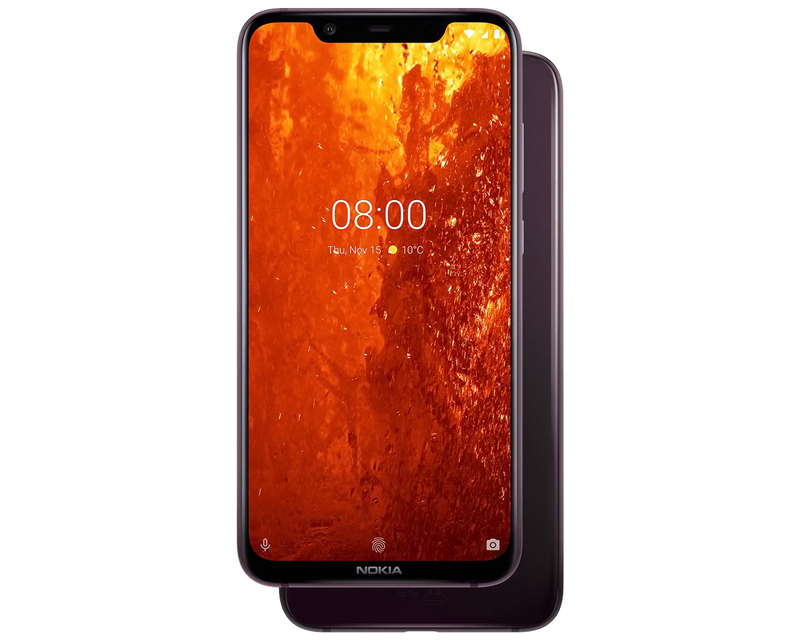 Offering a fantastic screen, a great camera and a lovely design for less than £400 all-in, the Nokia 8.1 is a bit of a bargain. It's only beaten by the Xiaomi Pocofone F1, which offers improved performance at an even cheaper price. 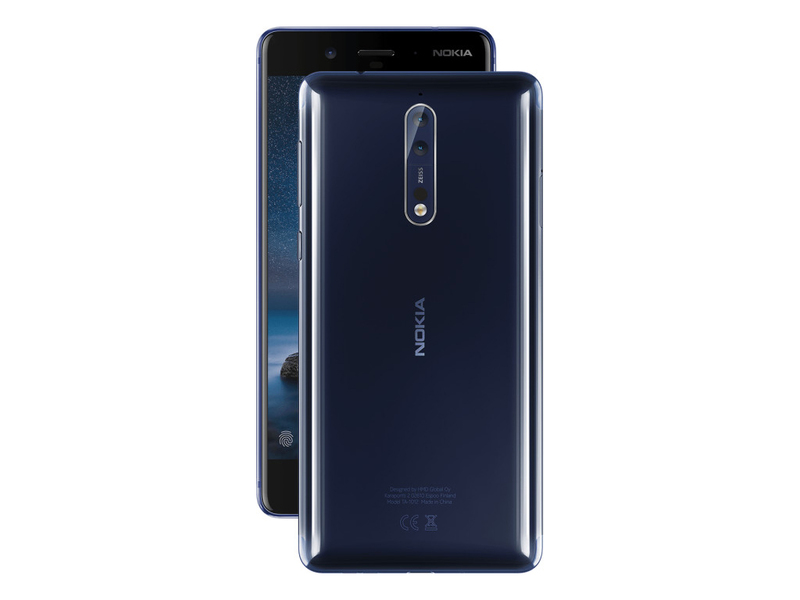 At its price, the Nokia 8.1 faces competition from mid-range flagship smartphones like the Asus Zenfone 5Z or the Pocophone F1 with a Snapdragon 845 chipset and better RAM and storage combinations, but the performance delta isn’t much for most users to compromise on the Android One experience that only the former offers – all that packed in a stylish chassis. Most people want a great phone, not just a brilliant specifications sheet. 80% Nokia 8.1 Review: Where does it fit, Nokia? And if you are a stock Android enthusiast, well, we daresay there will be those who will be tempted by the Xiaomi Mi A2 (review), which has better cameras although the 8.1 comfortably outguns it in terms of design and battery life. In fact, truth be told, we are not too sure if the Nokia 8.1 itself is a massive step forward from the Nokia 7 Plus (review), which remains perhaps the best phone we have seen from Nokia in its new avatar. In fact, the 8.1 falls somewhere between the 8 and the 7 Plus, with some design refinements brought to the table – and its rivals number everyone from the Moto One Power to the Mi A2 to the Poco F1 to the Honor Play to…you get the idea. We will be unboxing the new Nokia 8.1 and sharing our initial impressions on the new high-end Android One smartphone from HMD Global which was initially launched back in December. 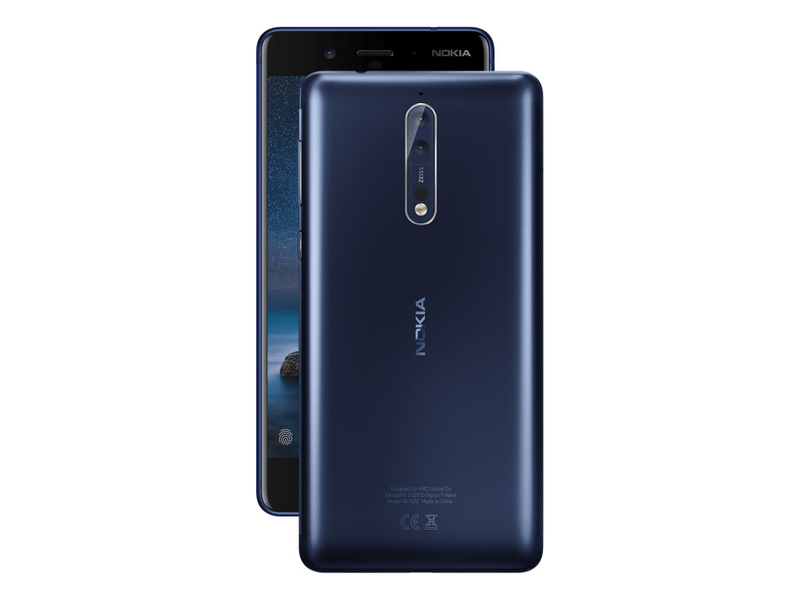 To understand the Nokia 8.1 it is important to first begin with the smartphone it is succeeding or replacing from HMD’s current lineup. 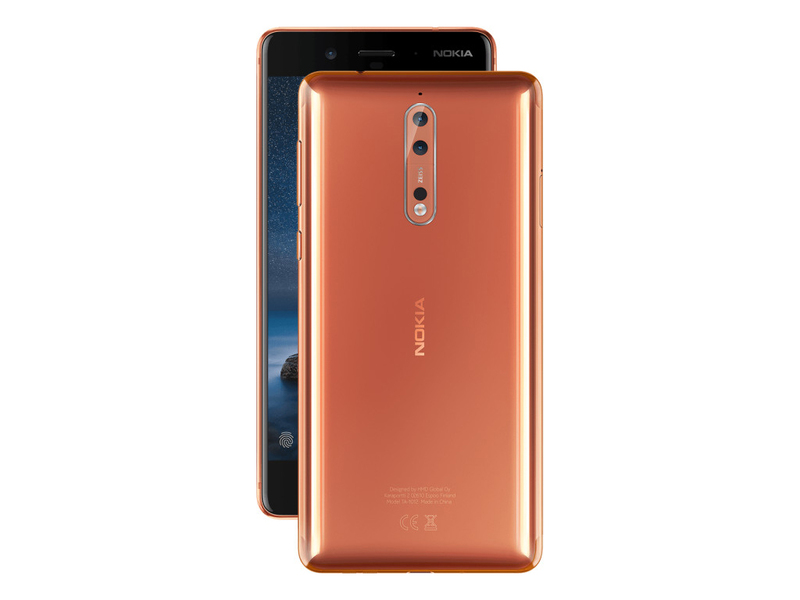 In a bid to standardize the naming convention, HMD has decided that the new Nokia 8.1 is actually a successor to the Nokia 7.1 Plus and not the Nokia 8. From this, we can relate that the new smartphone is not the brand’s premiere flagship but a high-end smartphone that sits below the flagship line — which is to be announced soon. We have the device with us and here is our complete unboxing — you can also view our unboxing video on YouTube as well. At Rs 26,999, Nokia 8.1 does not have a lot of competition. There’s Poco F1 with superior Snapdragon 845 processor but the Xiaomi phone has cut too many corners to keep the prices low. Nokia 8.1 looks good and delivers near excellent performance. If you don’t have a budget for OnePlus 6T and don’t want to settle with a budget phone, Nokia 8.1 is worth investing. The Nokia 8.1 caters to a mid-range buyer and aims to provide a true mid-range smartphone. One that delivers a better camera, better video recording and a brand-new chipset in a package that has been designed to delight. Oh, and did I mention stock Android and faster software updates thanks to the Android One program? The Nokia 8.1 seems to have it all. Nokia 8.1 is an impressive device by all accounts. The performance is smooth, the camera delivers pleasing photos in most scenarios, while the battery life should keep most users happy. There are very little flaws here, except that HMD Global has only introduced one variant with the base 4GB RAM and 64GB storage. When we reviewed the Nokia 8.1 Sirocco, we had said that the .. The Nokia 8 is no longer a flagship product and if you can digest that, you will be pleasantly surprised by how good this mid-ranged phone is. It has a good screen and camera, performs quite well and lasts you more than a day on a full charge. And it doesn't break the bank doing so. This phone can be seen as an upgrade over the usual low-cost options in terms of its material and construction quality, style, display, and cameras – the latter in the daytime, at least. Some users might also be willing to pay a little more for the Nokia name. There is a lot to like about the Nokia 8.1, but most of the things that give it its appeal can also be found in phones that cost much less. The Nokia 8.1 takes the elements that made the Nokia 7 Plus great, while offering much-needed upgrades as we head into 2019. The Snapdragon 710 ensures there's no shortage of power, the 3500mAh battery easily delivers over a day's worth of use, and the camera holds its own in this segment. The Nokia 8.1 may bother consumers who feel that competition like the Poco F1 offers a flagship-level chipset for much lower. But the SD710 chipset handles real-world performance as smooth as a flagship phone, and you get the added benefit of a better design language as well. The Zeiss optics marginally improves low-light camera performance, but the cameras are largely impressive. To top it off, HMD has priced the Nokia 8.1 at an incredibly competitive price of Rs 26,999. Nokia 8.1 First Impressions: This Beauty comes with brains! To conclude, the Nokia 8.1 is a pretty interesting device to watch for. The phone features a premium design and display looks sharp. The hardware is up to the mark and the software gives pure stock Android experience. As for the competition is concerned, the phone will face a stiff competition from the likes of Vivo V11 Pro and more. The Nokia 8.1 is a no-brainer. It does not rely on gimmicks or fads to try and woo you. At its core, this is a phone that focusses on the essentials and delivers a great camera, good performance, excellent battery life and an absolutely clean build of Android with a promise of long-term support. Priced at Rs. 26,999, the phone offers tremendous value for money and is highly recommended if you’re looking for a new smartphone in the sub Rs. 30,000 segment. Recensione Nokia 8.1: un vero Nokia dei bei tempi, finalmente! Positive: Stylish design; great built quality; nice display; long battery life; great cameras. Negative: Mediocre speakers. Positive: Excellent display; high performance. Negative: Poor cameras; high price. Nokia 8.1: Siêu phẩm tầm trung tuyệt vời đến từ thương hiệu Nokia! Positive: Good price; premium design; solid workmanship; decent hardware; nice cameras. Positive: Good speakers; long battery life; nice display; attractive price. Positive: Nice auto HDR mode; good photos in full light and low light condition; great panorama; fast and support for optical anti-shake. Negative: Unsupported RAW files. Positive: Beautiful design; decent hardware; attractive price. Positive: High performance; good price; great display; nice main camera; elegant design; solid workmanship. Negative: Mediocre speakers; low autonomy; poor selfie camera. Đánh giá hiệu năng Nokia 8.1: hiệu năng siêu mạnh mẽ từ chip Sanpdragon 710? Positive: Powerful processor; high gaming performance; good price. Positive: Powerful hardware; nice cameras. Negative: Mediocre design. Positive: Attractive price; powerful hardware; high gaming performance; long battery life; big screen; excellent display. Positive: Good price; nice gaming performance; elegant design; solid workmanship. Positive: Impressive cameras; nice display; long battery life. Positive: Powerful hardware; beautiful design; nice cameras; good price. Positive: Attractive price; decent hardware; nice performance; excellent cameras; great display; long battery life; quick charging. Positive: Beautiful design; powerful hardware; good price. Positive: Excellent dual cameras; long battery life; stylish design; good hardware. Positive: Powerful processor; big screen; good price; nice cameras. Positive: Nice dual cameras; powerful processor; good price. Positive: Impressive design; metal case; nice display; good price. Positive: Good price; decnet hardware; nice performance; excellent display. Positive: Premium design; metal case; big screen; nice display; decent hardware; impressive dual cameras. Positive: Good price; powerful hardware; high performance; elegant design; nice cameras. Positive: Premium design; solid workmanship; powerful hardware; good price. Positive: Premium design; solid workmanship; powerful hardware; high performance; excellent cameras; good price. Positive: Decent hardware; powerful processor; impressive design. Positive: Attractive price; nice design; decent hardware; great cameras. Qualcomm Adreno 540: Integrated graphics card in the Qualcomm Snapdragon 835 SoC. Slighly optimized architecture compared to the Adreno 530 but with higher clock speed due to the new 10 nm process. In the beginning of 2017 one of the fastest graphics cards for Android based smartphones.Only some 3D games with very low demands are playable with these cards. Qualcomm Adreno 616: Integrated (in the Snapdragon 710) graphics card based on the Adreno 600 architecture. According to Qualcomm up to 30% faster than the previous generation (Adreno 512 in the Snapdragon 660). Supports DirectX11_1, Vulkan 1.0, OpenCL 2.0, OpenGL ES 3.2.» Further information can be found in our Comparison of Mobile Graphics Cards and the corresponding Benchmark List. 835: High-End SoC for smartphones that was introduced in early 2017 and manufactured in 10 nm LPE FinFET at Samsung. Integrates 4x Kryo 280 at 2.45 GHz (max) for performance and 4x Kryo 280 at 1.9 GHz (max) for efficiency. Furthermore offers an X16 LTE modem, ac-WiFi and a dual-channel 32-Bit 1866 MHz LPDDR4x memory controller. 710: Fast mid-range ARM SoC with 8 CPU Kryo 260 cores (four fast 2.2 GHz cores in a cluster and two power saving cores) and a rather slow Adreno 616 GPU. Manufactured in a modern 10 nm process.